There is a CONSIDERABLE avalanche danger in the Girdwood Valley and other favored areas that receive 8-16+" of new snow by this afternoon. New snow combined with strong Easterly winds will create a variety of storm snow instabilities. These include wind slabs (up to 2' thick), loose snow avalanches and cornice falls. Natural avalanches are possible and human triggered avalanches are likely. Careful snowpack evaluation and conservative route-finding is essential in avalanche terrain. *Today's avalanche danger will depend on the amount of new snow that accumulates. Some areas, possibly Turnagain Pass itself, will only see around 6" of new snow and will have a MODERATE danger - in this case. Another 5-7" of snow is expected today on top of the totals above at the higher elevations. Along with a storm day comes your garden variety storm snow issues, listed below. These issues are dependent upon the amount of new snow that falls. 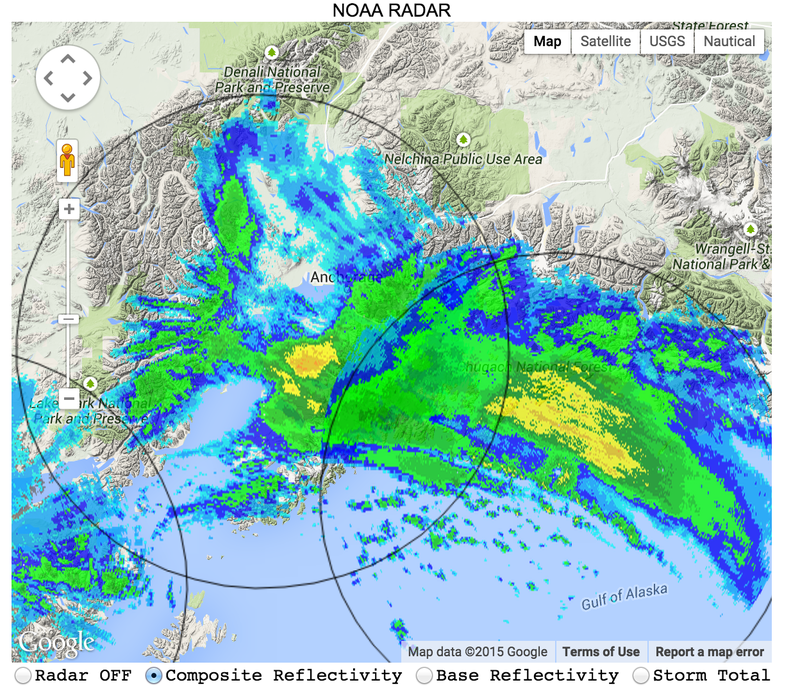 Turnagain Pass seems to be on the losing end so far but may see a bump in precip later this morning. Bonding with the old snow surface is expected to be initially poor, especially on South, West and East aspects due to a slick and hard pre-existing sun crust. With such strong winds, most slabs formed today will have a wind component, even in the lower elevations. Wind slabs could build as thick as 2+' in higher snowfall zones but will likely be around 8-12" in the Turnagain Pass area. Watching for current wind loading and cracking in the snow around you, as well as performing quick hand pits and using a pole to feel for stiff snow over softer snow, are all good ways to suss out slabs. Sluffs should be expected in areas out of the wind. These are likely to run fast and far on aspects with a crust underneath. Additionally, damp or wet snow sluffs, within the new snow, will trigger easily with the first warming by the sun (possibly late today or tomorrow). Cornices will increase in size with this storm and may fail naturally triggering an avalanche below - similar to last week. North facing aspects above 2,000' have a variety of weak faceted layers 2-3' below the surface. For the most part these have adjusted to the current load, however with additional load today (new snow and wind) they have the potential to re-activate. This means either a storm snow avalanche could 'step-down' and trigger and deeper slide lower on the slope, or a slab could fail initially in these old weak layers. Either way, Northerlies harbor potential for large slab avalanches. If you find yourself hunting for fresh snow after this storm, be aware that a slab avalanche breaking in old snow 2-3+' down is possible on steep North facing terrain. Overcast skies and windy conditions filled the region yesterday as a large low-pressure system in the Bering pushed a moist frontal band our way. Ridgetop winds ramped up later in the day with averages around 30mph from the East. Temperatures were in the mid 20's F on the ridgetops and near 40F at 1,000'. Overnight, precipitation began falling with rain below 1,500' and as of 6am this morning we have seen around 10" of snow in the upper elevations in Girdwood Valley yet only 3-4" at Turnagain Pass. Today, we should see another .5-.7" of rain below 1,500' and 5-7" of snow above. The bulk of the precipitation should end by mid-day with a chance for skies to break later this afternoon. Ridgetop winds will remain in the gale force category with averages between 40-65mph and gusts up to 90mph from the East; winds should die off late in the day. Temperatures look to increase to the upper 20's F on the ridgetops before cooling off quickly with the end of the precipitation. Check out this radar link for a good look at the frontal passage and trailing dry line (end of main precip event). Wednesday looks to be mostly cloudy with light showers before another similar quick moving front moves through on Thursday.